We love quiz lessons, but sometimes, you need to check in with your learners to see if they’re really paying attention. Or you want them to apply their new knowledge right away to reinforce retention. That’s where ungraded knowledge check blocks come in. Watch this video to see how they work, then check out the instructions below for details. To insert a knowledge check block, click the insert block icon that appears when you mouse-over the boundary between blocks and select a question type from the Knowledge Check category in the sidebar. There are four types of knowledge checks to choose from to test your learners’ mastery. You know it, you love it. If you don’t know the answer, you still select “C” every time, right? 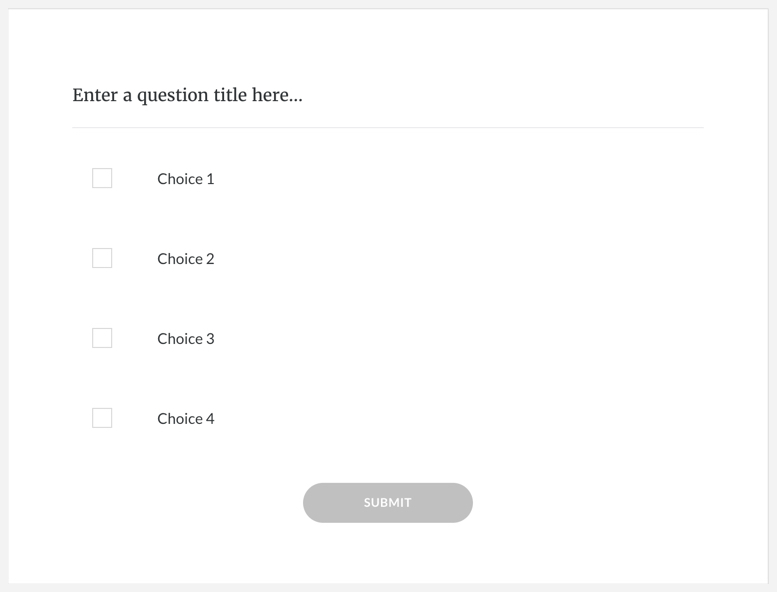 Multiple choice questions are quick and easy to build. 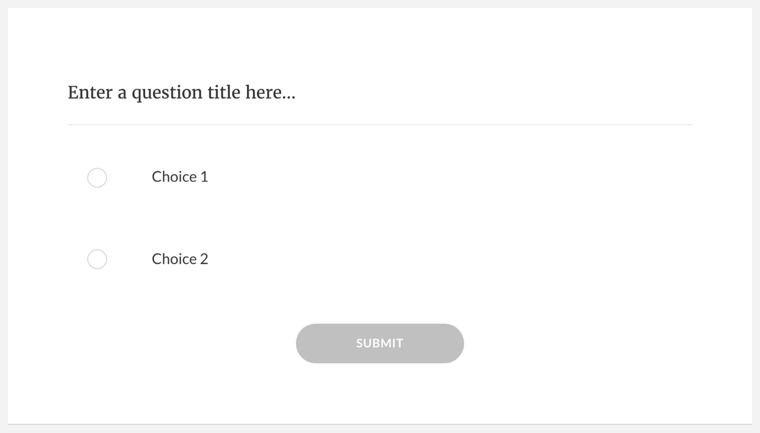 The more verbose sibling of multiple choice, this question type keeps learners on their toes and makes sure they’re absorbing your content by offering multiple correct answers. Why did the __ cross the road? To fill in the blank, of course. You can define multiple correct responses and turn case sensitivity on or off. Make a list of associated pairs, then Rise 360 breaks them up and shuffles them. The result is a fun drag-and-drop assessment that has learners getting hands-on with terms and concepts you want them to retain. Once you’ve inserted your knowledge check block, it’s time to add your question text and answer choices! Mouse-over your knowledge check block and click the Edit button that appears. Enter question text and answer choices in the sidebar. If you need additional answers, add them below the default fields. For multiple choice and multiple response questions, mark the correct answers. If you’d like, use the Question Type menu to convert your knowledge check to a different format. Make sure your question and answers make sense in the new format. For example, when you switch from multiple choice to matching, your answer choices remain intact, but you'll need to add matches for each choice. If you’d like your learners to see feedback when they answer a question, follow these steps. Any Response (default) displays the same feedback no matter which answer the learner selects. Correct/Incorrect feedback lets you create custom responses based on if the learner chooses a correct or incorrect answer. 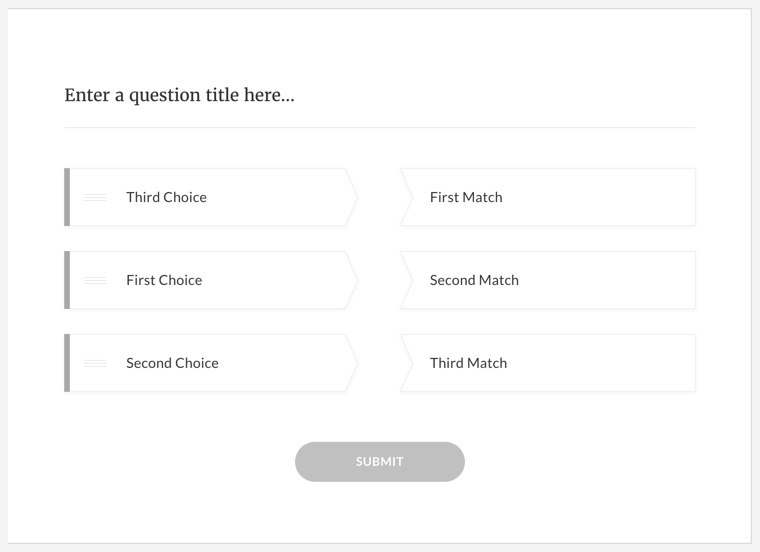 By Choice lets you enter different feedback for each answer choice in a multiple choice knowledge check. When you're done, click the X icon to close the sidebar.